Let’s gear up and see what means you’ll have to master the rock-paper-scissors gameplay of the series’ next instalment. 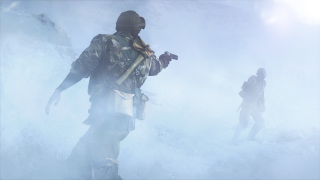 Depending on what Class you’ll deploy as, you’ll have access to a wide range of weapon types in Battlefield V. In our newly published articles on Classes and Combat Roles, you can discover which of the 30 primary weapons that the Assault, Medic, Support, and ReconClasses can wield. M1907 SF – Similar to the M1 carbine, only heavier and more powerful. Krag-Jörgensen – A rifle dating back to the late 19th century, with a special type of integral magazine which loaded from the side rather than the top. Lee-Enfield No. 4 Mk l – Very fast firing sniper rifle. Its bullet is significantly slower than that of the Kar98k, making it preferable for medium range. Kar98k – The most common bolt-action rifle in the German army. ZH-29 – A hard-hitting self-loading rifle that can kill with only two hits. RSC – By repurposing parts from the Lebel rifle it was designed to replace, the RSC was cheaper to produce for the French army, though there were complaints that it was unwieldy in the trenches. MP40 – The Allies called this popular submachine gun the “Schmeisser” although well-known weapon designer Hugo Schmeisser was not involved in its creation. MP34 – The MP34’s design was based on the old MP18 submachine gun. Used primarily by the German army, it was an extremely well-made gun although the production costs were very high. M1928A1 – The Chicago gangsters made the “Tommy Gun” famous in the 1920s. The US Army adopted it in 1938 for its accuracy and high rate of fire, and Allied Commando and Ranger units used it extensively. KE7 – Medium rate of fire LMG. Even though this light machine gun was designed in Switzerland, the Swiss army never used it. FG-42 – Very fast firing automatic rifle with a small magazine. Highest damage output weapon on the support kit. M30 Drilling – A triple barrel combination gun that leaves you more flexible than you would think. Use it as a double barrel shotgun in close quarters or change fire mode to the rifle barrel for medium range shots. 12g Automatic – Served in both world wars. It was the first successful semi-automatic shotgun used by the Allies, eventually inspiring the German army to create their own version. When ammo needs to be saved, or a loud encounter would be fatal, you need alternatives. 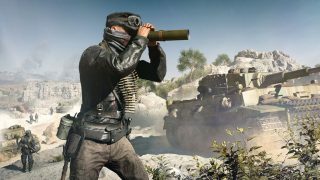 Go for the melee win with finessed weapons or blunt, improvised instruments – you’ll grab your enemy’s Dog Tag if you succeed.